According to the experts, Chile's very recent earthquake was much more serious, devastating than the one in Haiti. So, you'd think that if Haiti claims 200,000 or more dead, there should be many more in Chile. At least I, the CPA's daughter, expect it. So, far Chile is only talking about hundreds of dead. A million and a half people displaced, homeless, but the actual death toll is much, much less. Of course, there are probably some very objective reasons for this difference. 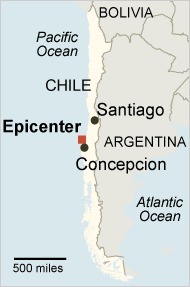 How densely populated were the two areas hit by the earthquakes? How sturdy and "quake-proof" were the buildings? Death tolls, counts, are very difficult unless, like Nazi Germany extermination Holocaust of Europe's Jewish population, it's well-planned and records are kept. It's because of the exceptionally careful and accurate German record-keeping that it's possible to prove that they contributed to the murder and death of six million Jews and millions of others. Natural disasters go at an inhuman pace, without any control. Haiti is a poor, corrupt and disorganized country. The chances are that the government isn't very accurate in any of its population counts, and that makes it much easier to falsify, inflate, exaggerate death tolls. The lower the official figures are in Chile, the more inaccurate the Haitian ones seem. 8.8 is a lot more devastating than than the 7 plus in earthquake terms and numbers. Haiti is a very different sort of country from Chile. Haiti is part of an island southeast of Florida, while Chile is on the western part of the south American continent. When I turned on the television after Shabbat, I was shocked to hear about the 8.8 earthquake in Chile. What's next for the Americas? As after every natural disaster, even in places which normally don't welcome Israelis, Israel has offered to send aid to Haiti. This pre-Purim earthquake is just another lesson for us to remind us that G-d controls everything. Haman as Matchmaker? Just Call Him Yenta? Purim Sameach, Joyful Purim, One and All! At this Shabbat's Shiur Nashim, Women's Torah Class, the most long-standing, ongoing Torah Classes in Shiloh, having passed twenty-eight years already, I kept wishing that I could take notes. It's forbidden to write on Shabbat, so you'll have to trust my memory. King Achashverosh didn't inherit the crown of Persia. He married into it. It was Queen Vashti who was of royal blood, the daughter of the previous king. That's a good reason why she refused his demand that she appear for his friends. She was not only the queen; she was a king's daughter and expected to be treated just right. Now, I've always wondered why Achashverosh had given so much authority to Haman. It's one thing to make him a "department head" or something similar, but to give him the royal ring and stamp, kingly authority... Isn't that too much? What did Haman have over Achashverosh? Did Achashverosh owe Haman for something? The palace intrigues intrigue me, like all politics. Suddenly it hit me. Maybe it was Haman who arranged the marriage of Princess or was she already Queen Vashti with Achashverosh. The rabbi who gave the class said that it could well be. So, nu, should we call Haman... Yenta? There's something really dangerous about the Purim holiday. From my illustrations, you can guess that I'm not referring to the extra calories, usually from sugar, whether eaten in candy form or drunk in booze. I find the noise painful. And it's also distracting. When I'm at a noisy reading I can't concentrate and follow the words in the Megillat Scroll of Esther. We're supposed to listen to every word, following the words written on the page. For some inexplicable reason people think that making noise is the big mitzvah, not listening to the Megillah. Maybe that's connected to the very superficial "What Purim means to me" that I heard on television. If you insist that it's important to "stamp out Haman's name," then do it right, only when his name is said. That means that young children, too young to read the text shouldn't have groggers, noisemakers, rattles, drums, hammers etc. Prepare for the holiday by reading Megillat Esther, especially with the kids. Mark Haman's name on the text. It is a book without the Name of G-d, so there isn't any problem. Take responsibility for your children. 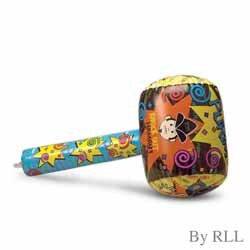 If they make noise at the wrong time, take away the noisemaker, and make these rules clear before Purim. Sometimes I have dreams of a cousin's child or grandchild, or children or grandchildren suddenly contacting us curious about his/her/their Jewish roots. These aren't people born and raised in traditionally anti-Semitic cultures like the young Polish man featured in a New York Times article, who went from antisemitic skinhead to Orthodox Jew. An entire branch of my American relatives, descended from the same maternal Jewish grandmother has been living as christians for three generations already. This morning when I clicked on the article sent by the Gansteh Megillah about the young Jew in Warsaw, I thought of my cousins and of the pain my grandmother in Olam HaBa, the next world, must feel knowing that her grandchildren, great-grandchildren and their children, too, have no connection to Judaism. Some are Jewish according to Torah-Jewish Law. About all of the non-Jewish descendants of my grandparents... another sad story, in need of many prayers. Over fifty years ago my widowed aunt took her children from the poor but very Jewish Brooklyn neighborhood, where she had lived for many years. She moved to Miami, Florida, and discovered a new reality, brutal antisemitism. One of my cousins was constantly attacked. Without family support system, she encouraged her children to become like the neighbors and leave Judaism behind with the freezing weather of New York. From what I was told, she thought she was doing them a favor. No doubt that her personal connection to Judaism was weak, and she probably blamed G-d for her sorrows, a handicapped first-born, widowhood and poverty. It was easy to keep their new religion a secret from the New York relatives. When my cousins married non-Jews, it was credited to the general intermarriage by young American Jews. Not in a million years did we ever think that my aunt had encouraged her children to live as christians. My aunt's youngest child is a daughter, who has a number of children including daughters of her own and grandchildren from them. These children are Jewish according to Jewish Law. Do they know it? Will they ever show an interest in Judaism and return? The world hasn't calmed down since senior Hamas terrorist Mahmoud al-Mabhouh was executed in Dubai. The United States Judicial is debating whether or not it's legal to support "just the" humanitarian projects of terrorist organizations. Aren't things a bit upside down? Has the world gotten their priorities twisted? Sure, no surprise. The timing of this scandal is just so... Jewish. Yes, it is. Next week is the Purim holiday, and this coming Shabbat is Shabbat Zachor. One of the themes of Purim is that things aren't what they seem to be. Do you want an espionage story? Who was the greatest female spy? Queen Esther, of course! She managed to win the Queen of Persia competition, go through every stage of the contest, passing for Persian, without giving even a hint of her true identity. Not only was she Jewish, of that annoying foreign people, but she was related to that nosy, trouble-making Jew who was always stationed himself at the gates. Not only did he boycott the feasts celebrating Achashverosh's kingship, but he wouldn't bow down to high officials, like Haman. In today's world, Mordechai and Esther couldn't have pulled it off. Those new security X Ray machines strip us of all make-up, clothes and wigs. The technicians attempt to play G-d, see what we're hiding. But G-d sees what's really inside, under the bones, muscles etc. G-d sees our soul, our essence. "The world" is defending evil, being merciful to our enemies. That only strengthens evil and makes life more dangerous for all. Ask a cancer specialist. If a cancer is growing on one's face or limb, what should one do? We must remove the cancer, even if it means scarring and handicaps. If we don't, the cancer will take over the body and the patient will die a horrid painful death. Terrorism is a cancer, and we must do everything to destroy it. Tonight's IBA Israel English TV News went to a popular (I'd even say trendy) religious girls high school and interviewed some of the students about Purim. "They tried to killed us. We won, so let's eat." It's the only Jewish Holiday that has no direct contact with the Land of Israel. The story takes place in Persia, around the Court of King Achashverosh. King was very Ronny Reagen in that he delegated authority, though he didn't have Reagen's ideology to keep him focused. When one of his top people reported insubordination by one of the ethnic minorities, he gave him full responsibility to handle the issue. That was Haman whose final solution was to destroy every living Jew, from baby to elderly. The Jewish People were saved due to the brilliant teamwork of Queen Ester, Mordechai and of course G-d working undercover, mustar, hester pannim. "What does Purim mean to you?" They talked about costumes and acting crazy. They sounded more like secular kids in North Tel Aviv than religious girls in Jerusalem. It's a very superficial Purim for them. Honestly, I don't know if the kids in Shiloh are educated any better about Purim. Something very surprising went through my mind as I listened to the girls talking about Purim. L'havdil, very different, to differentiate... In Christian countries like the United States Xmas is like a national holiday, with all the shopping, parties, vacations etc. There are people who claim that it's just a "secular holiday," or the celebrations are, even though it's an extremely significant one in the christian calendar. As a deeply religious, spiritual person, I respect other religions and I'm sad to see religious holidays deteriorating into just commercial and secular celebrations. This is supposed to be the "pro-Israel post" West Bank Mama requested for a special round-up. I'm not quite sure how to approach the assignment, and I'm still not sure what I'll write even as I type this. I hate the defensive type of article, because it legitimizes the attack by going over the negative points. I'm of the "Never complain and never explain" fans. Each of us has a different approach to defending/promoting the existence of the State of Israel. A few months ago I was interviewed by Ben Hubbard of the Associated Press. My interview got very mixed reviews by friends and fellow Hasbara, information corps, members. Since I generally like to get to the root of problems and not just "whitewash" them, I'll concentrate on history, simplifying it best as I can. Today's modern, Twenty-first Century world has few nations with histories thousands of years old. The State of Israel is the modern country for the Jewish Nation/People. That's the nitty-gritty of the situation, ha'eekar, the main point. For some peculiar reason, that has always bothered people, other nations. This coming Shabbat is Shabbat Zachor, the Shabbat we're commanded to remember that the world is against us and wants us destroyed. In Maftir, the final Torah reading on Shabbat, we hear of how the Jewish People were cruelly attacked by Amalek as they/we exited from Egypt. It's customary to reread it over and over in different accents and tunes so that everyone understands. Is it translated into various languages abroad? I should hope so. Every Jew must understand what happened to us thousands of years ago and how it still happens today. Yes, in simple words, that's what it's all about. No country, no international organization can be counted on to help us! I'm not paranoid, I'm just plain pragmatic when I say that we can only count on G-d and on ourselves. The Haftara, (Biblical versus 5 book Torah) reading this Shabbat will tell how Saul, the first Jewish king sinned by not immediately executing all of Amalek. For this awful sin, we're paying until this day, because our enemies are the descendants of king Agog who managed to impregnate a woman during those forbidden hours King Saul gave him to live. That's what happens when one is merciful to one's enemies. Samuel the Prophet had been mentoring King Saul, a very disastrous and ill-conceived plan. A leader must be a leader through and through, not a figurehead. Saul was succeeded by King David, and Samuel retired. King David didn't need that sort of intense and detailed mentoring. It's clear when you read King David's T'hillim, Psalms. He had a direct connection with G-d, like Moses did. Samuel, Saul and David were our main historical figures during the first stages of the Jewish Kingdom, after our tribal federation, after our slavery in Egypt and after our Forefathers, Abraham, Issac and Jacob wandered around our HolyLand. We are their descendants in every way. None of the nations that had been here in our HolyLand then exist today, only us. We are forced to fight new enemies for the same reasons we fought Amalek thousands of years ago. Our very survival is proof that we're supposed to be here. We were exiled as a nation, but Jews always lived in the HolyLand. Now we have returned as a Nation as a People, not just individuals. The public readings of the Purim story as told in Megillat, the Scroll of Esther which took place historically after King David, always has me amazed. It reinforces the fact that we're the direct descendants the continuation of that ancient people and the ancient story. Jewish People all over the world read it and celebrate our historic victory over Haman and all those who wanted us totally destroyed. Today the simple fact that there is a State of Israel for the Jewish People proves that we are supposed to be here. The fact that we have survived with our history, tradition, religion, language etc is totally extraordinary and inexplicable by normal laws of nature. Let go of the goyishe non-Jewish culture and mind-set. Soon we'll be celebrating Passover. "Avodim hayeenu l'Paroh b'Mitzrayim..." We were slaves to Pharaoh in Egypt..." The problem was/is the enslavement to Pharaoh, to that foreign culture. Free yourself of foreign values and priorities! Nowadays, it's harder to keep a secret. The world shrank. And Big Brother is watching every move. Hamas terrorist Mahmoud al-Mabhouh's executioners techniques are now old-fashioned too twentieth century for this world. Even worse, the usual code of silence has ended. James Bond would really need a drink if his operators treated him like the British are treating the Dubai assassins. Could this unheard of break with normal espionage etiquette be because it's believed that Israel executed Mahmoud al-Mabhouh? 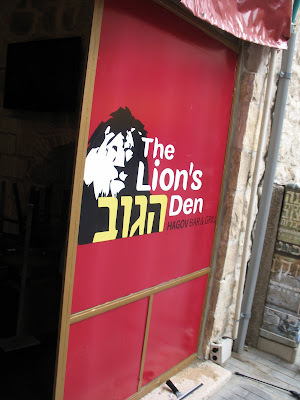 Yes, A Sports Bar and Grill in Jerusalem! This morning I received a letter from a friend of a friend with a link to an article about a young man who had made aliyah with his identical twin brother, served in the IDF, Israeli army and then returned to the states for university studies. He was recently killed in when a drunk driver rammed into him. That was Avi Schaefer. I was in shock. 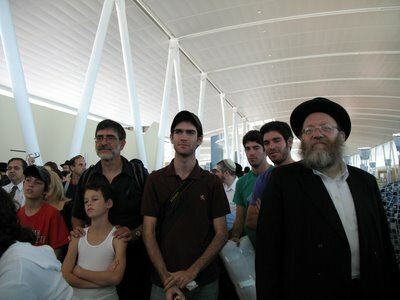 I remember photographing them making aliyah when I accompanied a Nefesh B'Nefesh flight. Yes, that's them with their proud father and younger brothers. I don't remember all the passengers on the two planes I flew on, but I do remember them. 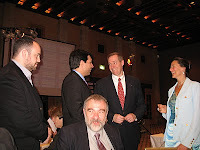 A couple of months ago AFSI's Helen Freedman and I met in Jerusalem. We brainstormed for a theme of next May's trip to Israel. I suggested "Crisis in Leadership" as the them and invited her to bring the group to Shiloh. 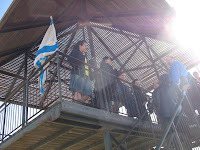 Shiloh is the Jewish historic/Biblical location for transition from a troubled tribal federation to a kingdom. Today is very much like the time of Judges and Eli the High Priest. Our people are lost and rudderless. We need a leader, someone to help us escape the chaos. When Chana prayed for a son, she prayed for a successor to Eli, one strong enough to help the Jewish People return to G-d and be a strong nation. Isn't that what we need today? That's why I thought that AFSI should follow, Chana, Samuel, Saul and David as their route. Please join the tour and visit the sites of Jewish History. Americans for a Safe Israel/AFSI has been leading Chizuk (support) missions to Israel for over fifteen years. Our concentration has always been on the threatened communities of Israel. Our upcoming trip, May 9-17, will follow the same mandate, although the itinerary is always different. Participants make their own travel arrangements, and meet the group in Ben Gurion airport on Monday morning, May 10, at 8 AM when we board our private bus and head for the Shomron. One of our must visit places will be the threatened home of Major Roi Klein in the Hayovel neighborhood of Eli in Samaria. David HaIvri will be our guide through Bet El, Tapuach, Kedumim, and as many of the Shomron communities as is possible to visit. Batya Medad will give us a special introduction to Shilo. Overnight will be at the beautiful Ashel HaShomron hotel in Ariel. We’ll continue to Yerushalayim where the festivities celebrating the re-unification of Jerusalem in 1967 will begin with a gala event at Beit Orot on Har HaZaytim. A tour of the Temple Mount with Rabbi Richman, exploring east Jerusalem with DanLuria, marching in the Yom Yerushalayim parade, and being in Ir David for the Moskowitz Zionism awards event are all part of our program. The liberation of Hebron occurred one day after the liberation of Jerusalem, and so AFSI will be in Hebron with David Wilder to celebrate that event. Israel Danziger will guide us through the surrounding struggling communities in the southern Hebron hills. Back in Yerushalayim, Arieh King, will lead us on a special insiders tour of the communities within the Jerusalem municipal borders which are under threat. Shabbat will be spent in Yerushalayim with Ateret Cohanim leading us on a walking tour of the Old City and Sunday will be devoted to viewing the situation in Sderot with Alon Davidi, touring the new Negev communities with Dror Vanunu and other good friends from the former Gush Katif communities, and meeting with the Shomrim, who are guarding the Jewish farms from marauding Bedouin Arabs. Our mission concludes with a gala farewell dinner in Ashkelon. "I wouldn't eat from his kitchen." 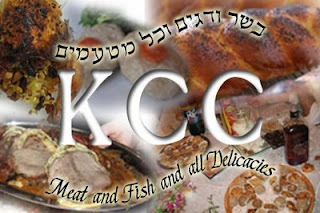 There is no kosher food without halacha, and this wouldn't be much of a Jewish blog (jblog for short) without mentioning the latest Kosher Cooking Carnival, this time located in Adventures in Mama-Land. If you'd like to host one of these monthly Jewish blog carnivals, please contact me. We now follow the Jewish calendar. And please send in all posts concerning kosher food, whether it's tradition, recipes, halacha, or cookbook and restaurant reviews etc. Leftists like to call themselves doves, and doves are just short-sighted pigeons versus the much more intelligent far-sighted hawks. Some leftists have just woken up to the fact that they're losing the war, because of demographics. To put it very simply. They just didn't have enough children. They thought they were so clever preserving the environment that they delegated reproduction to those with different values, the Right and the culturally deprived. So, who's having the last laugh? In Israel, it's not very funny, because the Left is fighting hard against the more religious Right. Not only do the Israeli Left have fewer children than the Right, but the IDF soldiers and officers are more religious than in the general population. If you want to take over the world, have more children! I certainly have no inside knowledge about the execution of Mahmoud al-Mabhouh, in Dubai. The world, the media etc want to believe that it was Israel. Those who admire Israel insist that only Israel could have pulled it off so professionally and those who revile Israel want to show how evil and untrustworthy Israel is, daring to illegally use and tamper with foreign passports etc. Since most vast majority (this is no 55%) of the world has neither sympathy nor friendship for us, no matter what happens they'll find some reason to condemn us. Mahmoud al-Mabhouh was an evil man. There's no real debate about it, even among those trying to catch Israel on "technicalities." Generally, the world and media are silent over these sorts of events. There's a code of silence, because each country's espionage experts know that if they investigate the deeds of another country, their own "specialists" will be endangered even more. So here we have an example of how the antipathy for Israel will now make it harder for Great Britain's real life 007's, "Bond, James Bond." Ever since I heard the ridiculous idea that it's up to Israel to destroy Iran's nuclear reactor, I envisioned the world condemning Israel if it's foolish enough to do it, successfully or not. Yes, there's a major chance that the world will never move against Iran's bomb, but I still don't see why it's up to Israel. When U.S. President George Bush The First went to war against Iraq, Iraq attacked Israel, not the United States. Nobody cared. Israel must remember that we're alone. No country supports and defends us. We must do what is good for us and stop looking for approval and support from others. This could very well be one of those pre-Purim jokes. I wouldn't be surprised if the the Jerusalem Post had been conned when they published this piece about individual, portable mechitzot (curtains) for men to wear in airplanes to prevent them from seeing movies, women etc. Let the men who insist that women should sit in the back of they bus, because they don't want to see them wear those "portable mechitzot" when traveling on the bus. The driver should just announce each stop in advance like in the subways or the Long Island Railroad. And don't forget the simplest solution for the man who doesn't want to sit next to a woman on the bus... stand. Yes, I'm serious and I've told men to sit together to free seats for women. There are two very important elements ignored on the "mehadrin," women to the back buses. One is דרך ארץ derech eretz proper behavior between human beings, and the other is old-fashioned common sense. On these buses, a man can't help his mother, nor can a woman help her father nor a husband a wife, etc. Whether the ‘personal mehitzas’ is a joke or not, there are men who live as if they're wearing a lampshade on their head for many years. I can never forget how some young chareidi men sat on the bus when a very pregnant me (almost twenty-seven years ago) stood uncomfortably. An old woman got up to give me her seat. Very loudly, I told her that she needed to sit, too, but those young boys should be getting up for me. I admit that I'm no rabbi, not all that learned in Torah, but there's no doubt in my mind that it's a greater mitzvah to do "chesed," good deeds to other people than to cut yourself off and ignore others. As a Torah Jew, I'm a Shabbat observer. That means that Friday is a race against time. Since certain types of "work," as defined by the Torah not modern western concepts, are forbidden from Friday just before the sun goes down until Saturday night, when at least three stars can be seen shining at one glance, I don't know if I'll be back on the computer today. If you're looking for something to read online and you haven't yet visited all the posts linked in Havel Havelim, I suggest checking out the blog, Love of the Land. They offer lots of good links. The honeymoon seems to be over for the United States President Obama and the American public. Like a "modern marriage" in the western world, the wedding and official couple-hood are more a deneumont than the beginning of something new and exciting. Barack Hussein Obama rode in like a prince in shining armor to rescue Americans from the Bush Republicans. Now that the armor is off, and they see what they have, disappointment is setting in. Obama's handlers did a great job in getting him elected. The campaign was brilliant, but being United States President is a lot more complex. Pet causes of the Left, like the environmentalists, were sure that he would be their savior, but now they're very disappointed. A totally different group was horrified when he appointed Rashad Hussain as special envoy to the Organization of the Islamic Conference. Those counting on Obama's Health Care promises are up for more disappointment, because it's not all that easy, and the bill won't be passed and activated all so soon. And there's no guarantee that it will really serve the needs of all those who voted for him. The United States economy isn't getting any better, but the Chinese is. I grew up during the hottest time in the Cold War. Nobody could have predicted that a half a century later the USSR would be dead and Communist China would have such a strong economy. He's easy to mock. But considering the landslide of his election, he may still be electable in 2012. Israeli politics is different. The jokes against politicians are mean or none at all. Ever since we Israeli Jews returned to Holy and historic Biblical Shiloh over thirty years ago, our custom has been to celebrate both days of Purim. We are in the same location as the Biblical city of Eli the Priest and Samuel the Prophet. Remains of Shiloh's ancient wall can still be seen. Shouldn't that make us like Jerusalem? But although Shiloh was our ancient capital for 369 years, long before the Purim story of Queen Ester, Mordechai, King Achashverush took place in far away Persia, the decision of the rabbis has been that we celebrate two days of Purim. The first day is the main one, when we say the special brachot, blessing, and the second we just do the Mitzvot, the special Purim commandments, like hearing the Megilat Esther, giving mishlo'ach manot, food gifts and eating a festive meal. Our Chief Rabbi, HaRav Elchanan Bin Nun gets asked every year if anything has changed. Has it been decided that we keep just one day? The two days is because no Jews lived in Shiloh for many years. Rav Elchanan has announced a special shiur, Torah class on the topic tomorrow morning. We're here in Shiloh twenty-eight years. I've gotten used to the doubly celebrated Purim holiday. I no longer mind it. I couldn't imagine having one day. 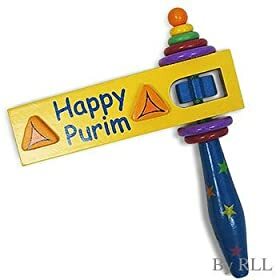 If we have to just celebrate the first day of Purim, it would be like Passover Seder for my married daughter; one year with us and one year with her mother-in-law. If we are to just celebrate Shushan Purim, other people would have to make a schedule. So, if the Rav is going to announce "just one day," he should really do it more than a week before the holiday. So, I presume that there won't be any chance, so late in the season. Watching this video documentary of the hit squad in Dubai, it's like seeing something from an episode of C.S.I. or The Agency. It's also a reminder that because of security, we're not as "alone" as we think we are, especially when we want to be. On television, the cast would find the professionals who executed Arab terrorist Mahmoud al-Mabhouh in just over forty minutes. The above film takes almost as long and leaves everyone with questions. The Jerusalem Conference ended tonight. Last year I managed to be there for many of the sessions. I walked around and listened and took notes and pictures, too. This year I couldn't make it, since I take care of my elderly father. I must admit that I enjoyed the "action" last year, the feeling that so many of us cared about the same things. I saw old friends, and yes, some of the speeches were good. But they were speeches and had no influence on anything. Most people said what they felt the audience wanted to hear. OK, I admit that I'm a cynic, though I prefer the description, "pragmatic." Nothing will come from the "wise words." And some of the words weren't wise at all. I guess I didn't really miss anything. Our neighborhood synagogue has expanded and been renovated. One change is a new front door, and this one is set up for a wheelchair. Actually, we have two wheelchair ramps. There's one in the back to a "room" which is partially set up as a second Ezrat Nashim, Women's Section. (In Orthodox Torah-based synagogues men and women sit separately.) The main Ezrat Nashim is a gallery/balcony. The stairs leading up to it are too difficult for many, young and old, with babies and physical handicaps/restrictions. 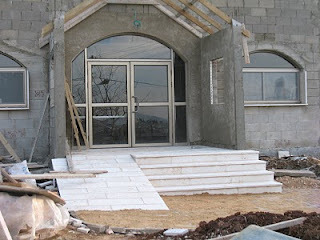 My son is opening a sports bar-grill in Jerusalem, and there, too, will be facilities for the handicapped. Today, it's the norm. For those wondering why the Israel Museum is undergoing very major renovations and the only indoor exhibits are in the Shrine of the Book complex, it's to straighten the floor, make it all one level, instead of that once trendy step up-step down from room to room. In the 1960's when the museum was planned and constructed nobody thought of easy equal access. The post-World War Two world was young and healthy. The disabled were hidden and made to feel guilty for being different. Actually, Israel was relatively good to the handicapped in some ways. In the 1970's I went to a concert in Jerusalem with a friend who needed a wheelchair. She had bought us two tickets and also told them that she'd need a place to sit in her wheelchair. She was given a great spot for her wheelchair and a comfortable plastic chair was brought for me to sit next to her. When she tried to give them the tickets, they told her that it was unnecessary, since a certain amount of space was allocated for the handicapped for free, as a service. I don't know what the practice is today, but she was amazed. When we made aliyah in 1970, there were few elevators in Israel. Even large medical clinics required the ill and handicapped to walk up and down stairs. I'm sure nothing is perfect today, but the situation has improved. I'm an American Citizen from birth. I have the right to vote in United States Elections, though I've never done it. That's why I have the right to say that I don't think expats should vote. I disagree with Prime Minister Binyamin Netanyahu who has been promoting a law to allow Israelis living abroad to vote. I believe in voting with one's feet. You should vote where you live. When I want to give my opinions about America, I blog. And now the young and now disappointing Likud MK Tzippi Hotobilli is promoting giving more Arabs citizenship. What's the point? I only see dangers. These things can't be reversed. It's not like a computer game. I'm glad I didn't vote for Likud. "How could otherwise good people participate in such evil against innocent Jews?" "I was just obeying orders." The fact that these "orders" was totally cruel, evil and immoral didn't make them think and rebel. To me that was always more frightening than what went on in Nazi leadership. It taught me that ordinary people don't think. They can't be relied upon to take risk, even for good, righteousness. During the time leading up to Disengagement, there were many debates about whether Israeli soldiers would blindly obey orders to destroy homes, lives and communities. I'm sure that I'm not the only one devastated by their cooperation. Since then, the campaign to strengthen the "obey orders" mentality hasn't let up. I am happy that other Efrat residents have also expressed their outrage at this evening and have asked to cancel it. I just want to say that this entire kenes titled "Refusal of orders - where will it lead us" is a big mistake and harms the struggle for Eretz Israel greatly. reminds you of Popolitika where they always had one token rightwinger among a sea of leftists just to be "yoitze zein." 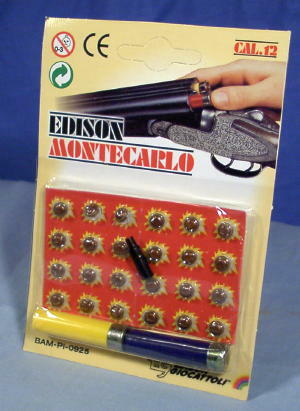 But I am talking about the very fact that Efrat bichlal, in general, has this kind of kenes. As if the national camp bichlal has a problem of "sarvanut" (refusal of orders).. . There is no sarvanut in the national camp. All our boys serve in the army. None of our boys refuse to carry out orders related to fighting the enemy. The left has a problem with sarvanut - with many of them not going to the army or some extreme leftists even refusing to attack Arabs when they need to. THAT is sarvanut. In contrast, when our soldiers refuse to carry out the order of pinui yishuvim - the problem is not with our boys who show loyalty to Eretz Israel but the problem is with the illegal, immoral and anti-Jewish order of uprooting yishuvim. The politician who gave the order of uprooting yishuvim and the officer who demands from his soldiers to carry out the order - THEY are the problem. THEY are betraying Zionism. THEY are betraying Eretz Israel . THEY are betraying the army's ethical code that says that a soldier in the IDF will fight the enemy and protect his people, and not the opposite. This kenes that Efrat is organizing is mamash falling into the trap of the Leftists.Or maybe, on second thought, it is a kenes to try and please the leftists.... . once again! And I ask: what is going on here???? Last month Efrat held a kenes, inviting the pakid in the minhal in charge of the "freeze" to lecture on "building possibilities" during the freeze. Less than 15 people showed up, but that is beside the point.There was really no need for such a kenes. The moetsa could have written down all the instructions of the minhal as to how one is allowed to maybe close a porch, and publish it in the Efraton. But it was a PR move to tell the authorities: unlike the other yishuvim where they don't allow pakachim in, we are nice. We collaborate with the authorities. Please like us. We are not the Shomron G-d forbid. We are m-o-d-e-r-a- t-e-s.
Now we have a kenes coming up with mamlachti extremists who all (except Feiglin) believe that soldiers have to be blind and deaf robots, and that orders are "above all", and must be obeyed no matter what. And I ask - What is going on here? And don't worry...when you will uproot Tekoa, and Nokdim and Ofra and Bet-el...we the leaders of Efrat will make sure our boys carry out the holy orders. I am so ashamed that Efrat is behind this kenes; I have no words.I am happy to see others have also expressed their outrage at this lecture and have asked to cancel it. "What did we do wrong in our mamlachti-dati education, that a religious person can even think of obeying the illegal, immoral and anti-Jewish order of uprooting Jews, destroying yishuvim and thus betraying Zionism and Judaism?" That's a great idea! That Israeli hiking trail should take the trekkers on a journey of Jewish History, the genuine article, not the post-Zionist abridged version. No history for dummies, please. I like the idea of a Jewish-Israel Heritage Trail. Shiloh should have a very central place in it. Ditto for Shechem, Hebron and Jerusalem. After the exodus from Egypt and the forty years of wandering, when Joshua finally brought Bnai Yisrael, the twelve tribes of the Children of Israel into the HolyLand, it was Shiloh where the capital was established and the Mishkan, Tabernacle rested for 369 three-hundred-sixty-nine years, yes, years. Shiloh is given a very specific location, south of Levana and east of Beit El, so this little triangle of a trail must be on the route. Search as much as you can, but you won't find Tel Aviv mentioned as an important historic, Biblical city with Jewish significance. Shechem is, and so is Beit El, Hebron, Jerusalem, Beersheva and Bethlehem. I can think of some great routes following the lives of our forefathers, Abraham, Issac and Jacob. Don't forget Joseph who hiked all alone to his brothers in Shechem. As a youth, King David hiked from Hebron to his soldier brothers and then embarrassed them and King Saul, because it was he, young David who killed the boasting philistine, Goliath. Take out the Bible and plan your heritage hike. Ironically No real surprise that contrary to Prime Minister Binyamin's talk, pledges, promises that hasbara, information, public relations for the good name of the State of Israel is one of his great priorities, it's davka his government which is planning the end of the IBA, Israel Broadcasting Authority including Israel's very professional English-language news broadcasts. Yesterday's IBA Television newscast began with a plea by veteran editor, journalist and broadcaster Steve Leibowitz asking viewers to protest the demise of the station. This isn't the first time that Israel's foolish, short-sighted politicians have tried to close down the English news. But this time, it's more than just that. The entire broadcasting authority, including the Kol Yisrael, Voice of Israel radio is in danger. Last night, I waited up to see one of my favorite shows, Law and Order. Instead, a sign was on the screen proclaiming union sanctions. No broadcasting after 11pm. I have plenty of complaints about the IBA, foremost is that they tax all TV-owning citizens even if they don't broadcast to our parts of the country. (People need to pay for either cable or a private satellite dish.) 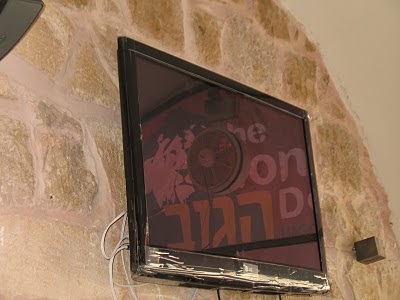 But even without a television set or being in or near Israel, anyone with a computer modem can receive the newscasts on the internet. If the politicians have their way, the English radio news shows, heard all over the world, will also end. 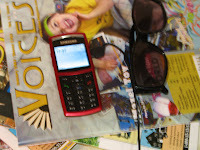 There's no substitute for IBA's and Voice of Israel English News. I grew up in mid-Twentieth Century United States. I always lived in areas which were mostly Jewish, but I never had a doubt, no doubt at all that the United States was at heart, mind and media a Christian country. As I remember, the early history and its stories of religious freedom were about various Christian groups, not full religious rights for all religions, Hindus, Muslims, Jews and any others. We lived with other Jews to feel more comfortable. The local New York City public schools were closed Rosh Hashannah and Yom Kippur. No other Jewish Holidays seemed to be known. We weren't religiously observant. In neighborhoods like ours, the schools kept the "winter holiday celebrations" pretty G-dless and sans Jesus, too. We sang about snow, Santa and dreidles. The only "religious" song was "Silent Night," which most of us Jews didn't quite understand. Easter, I associated with bonnets and decorated eggs. I never caught onto any religious message about it from the TV shows; it remains an enigma. Yes, television was the great educator and assimilation tool. May father learned English in school and both my parents learned American customs and values there. But I learned from the TV. "Before the Jews came, we had such beautiful Christmas pageants." Every once in a while I hear or read discussion about the place of Christianity in America. I accept it as the dominant ruling religion. That's why I strengthened my Judaism, became Orthodox (Torah observant) and moved to Israel. 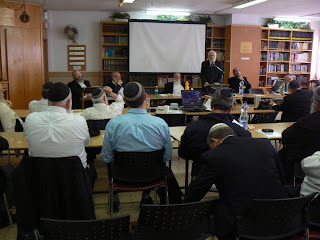 The conference was organized by Rabbis Elchanan Bin Nun of Shiloh, Gidon Perl of Alon Shevut, and Elyakim Levanon of Elon Moreh. A wide range of rabbinic leaders from across Israel attended the conference, and a number of representatives from the Council of Young Israel and the Rabbinical Council of America were also present. The aim of the conference was to present the rabbinic establishment with an overview of the challenges we face as a result of the burgeoning Israel-evangelical relationship. The ultimate goal is to strengthen halachic guidelines and to set clear and accountable boundaries vis a vis Israel’s dealings with the Gentile community. The conference was closed to the press per the organizer’s request. Jewish Israel’s Rabbinic Director Rabbi Dr. Sholom Gold and our Rabbinic and Academic Advisor Rabbi Dr. Jeffrey Woolf were among the featured speakers. Chodesh Tov one and all. This year we have one Adar but two days of Rosh Chodesh Adar. It's supposed to be a happy time, but somehow my computers aren't cooperating in publishing this Havel Havelim. I tried the method I used when blog carnival was down, but things change in Adar, and it didn't work. Eventually, G-d willing, I'll have this posted on both my blogs, and I hope and pray that you intrepid jbloggers will post about and pass the links around so a maximum of readers will have the great opportunity to to read the posts from the humongous international collection of Jewish bloggers, jbloggers as we're known. I've probably lost some posts along the way, those I added, because they didn't arrive via blog carnival, so if you can't find yours, please send it in the comments. I'm pretty sure I caught all of the junk/spam they forwarded, if I missed something, please let me know via the comments. And of course please feel free to write something nice in the comments if you think it applies. which showcase everything about kosher food and picture posts with Jewish themes. If you're interested in hosting a KCC, please contact me. Westbank Mama calls for pro-Israel posts. 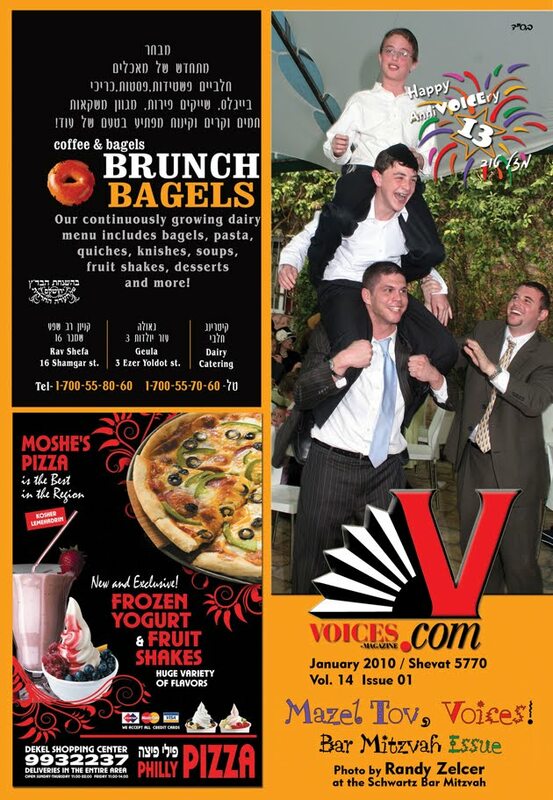 Mazal Tov to Voices Magazine on its thirteenth anniversary!! leah aharoni presents Game Theory Exercises for Children posted at Ingathered. Allison Josephs presents Birthday Musings | Jew in the City posted at Jew in the City. Yisrael Medad presents Mocking Tonge Site Up posted at My Right Word, saying, "MyRightWord hopes the new mocking Jenny Tonge site will go viral"
Mimi presents Shuk: Nazareth in the Galilee posted at Israeli Kitchen, saying, "Walking through the Nazareth shuk was like visiting another country." G6 presents The KAJ - Breuer's Bris Milah Menorah posted at Guess Who's Coming To Dinner. Neil Fleischmann presents Mr. Rogers Goes To The Senate posted at NY's Funniest Rabbi. Yosef Greenberg presents A New Face on the Grandfather Clock posted at Yachdus, saying, "Trends in the Chareidi marketing, especially relation to the Internet." Shifra blogged about Gush Katif Remembrance Day on Ink and Quill. Yosef Greenberg presents Thank You David Ben Gurion For Spreading Torah Learning posted at Yachdus, saying, "Why is there so much Torah learning in Israel?" Lady-Light presents Honest Questions about Israel and Palestine posted at Tikkun Olam, saying, "If people admitted the truth about the history of how Palestine became Israel, and the role of the Arabs in that history, they would see that the Arabs and British are to blame for the state of the Middle East today." SnoopyTheGoon presents Ahmadinejad discovers Avatar posted at SimplyJews. Devo K presents Weather or not... posted at In the middle, on the right. Joel Haber presents When a Handshake Isn’t Just a Handshake posted at Fun Joel's Israel, saying, "Based on a response to the post I included in last week's Havel Havelim." mother in israel presents Wedding Costs posted at A Mother in Israel, saying, "Part of a series on Israeli weddings in the religious community." 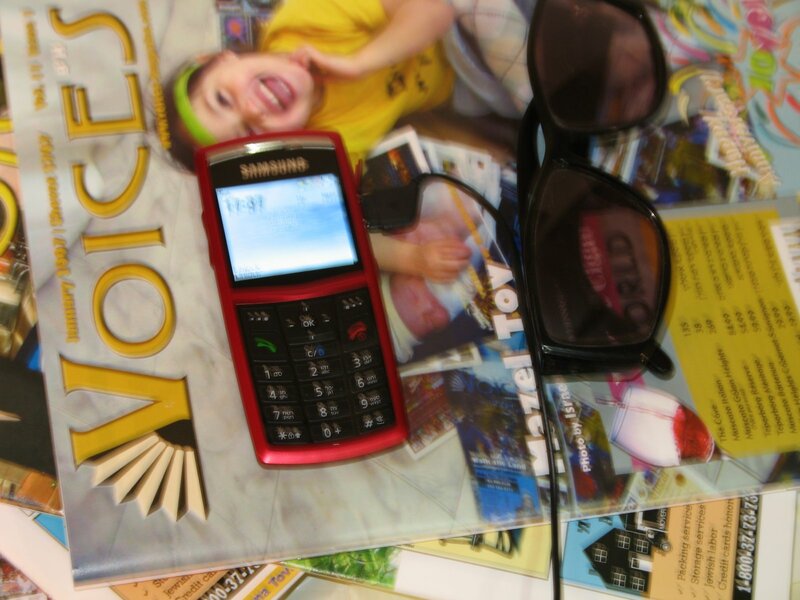 Batya presents The New Israel Fund and Planting Seeds For The Future posted at Shiloh Musings. Jacob Richman presents New Israeli Educational Stamps Posted Online posted at Good News from Israel, saying, "Thanks! 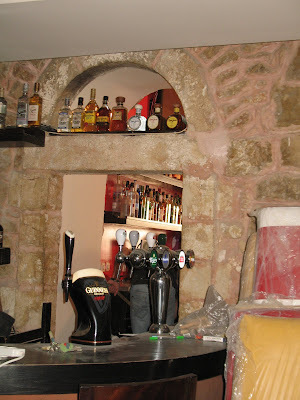 Sharon A presents Water, Water « The Real Jerusalem Streets posted at The Real Jerusalem Streets's Blog. harry presents Fact and Fiction: Beit Avi Chai launches film series posted at Israelity. harry presents Listen to the music posted at Israelity. harry presents Super group jams in Jerusalem posted at Israelity. Ben-Yehudah presents Good News! ...But Not Really That Good posted at Esser Agaroth. Ariel Ben Yochanan presents Israel Is Anti-Jewish posted at The Torah Revolution, saying, "B"H - Israel is the only country in the world today who's regular army engages in distructing synagogues and harrassing its Jews." Yisroel presents Snow "State of Emergency" Best Thing to Happen posted at Artzeinu. SnoopyTheGoon presents The Point of "No Return" posted at SimplyJews. Joel presents Oren Smiles at J-Street: So? posted at The Israel Situation, saying, "My weekly addition to the Israel Situation. This week, we discuss Michael Oren and J-Street"
Soccer Dad presents Israel Adds Cyber-Attack to IDF posted at Defense Tech. Paul Kipnes presents I Almost Made Myself Cry at the Bar Mitzvah posted at Or Am I?, saying, "A Bar Mitzvah of a special needs child brings tears all around." Soccer Dad presents Snow Thoughts posted at JewishByte.info Baltimore's Jewish Byte - The Daily Site for your Jewish Byte, Jewish News, Baltimore Jewish News, Baltimore Jewish Info. Soccer Dad presents Bernard Lander, ז?ל posted at Cross-Currents. Heshy presents The Na’vi Makes a Prophecy: Judaism in�Avatar posted at Frum Satire. ProfK presents How a Knowledge of Vocabulary is Going to Save the Yeshiva System posted at Conversations in Klal. Suzy presents LETS PUT SOME JOY IN IT tip for parents and teachers posted at A bit of Light. Hadassah Sabo Milner presents Tznius Question posted at In the Pink. Hadassah Sabo Milner presents Teens and Purim Drinking posted at In the Pink. ~JP~ presents Shabbos Practices posted at NGOmeter, saying, "My (almost) weekly Jewish post that relates to NGOs @NGOmeter. Thanks for putting in the work this week!" Lady-Light presents Another Jew comes Back to Tradition posted at Tikkun Olam, saying, "(Batya, please choose the 3 posts of mine which you like the most). I always love these stories of secular Jews returning to the fold; it warms the cockles of my heart...!" Ilana-Davita presents Kosher Meals on Cathay Pacific posted at Ilana-Davita. Bored Jewish Guy presents Guys have feelings too posted at Bored Jewish Guy. Rahel presents My Audition Adventure posted at Elms in the Yard, saying, "What happens when a middle-aged American expat auditions for Kochav Nolad? Find out...."
rutimizrachi presents Amazing, but true. posted at Ki Yachol Nuchal!, saying, "G-d was clearly teasing me. Yes, He does have time to play jokes on people, even while He's busy with maintaining Creation. He's G-d, after all..."
I've also discovered that it's best to just go where G-d sends us. Soccer Dad presents Notice to Friends and Followers of Joshuapundit posted at J O S H U A P U N D I T.
Lady-Light presents My Virtual Family posted at Tikkun Olam, saying, "Thank you--I love you all!!" And here's more in the saga of my caring for my very elderly father, are all these expensive aids a scam? Lady-Light presents Afraid to Name the Enemy? Take it Away, Latma TVTikkun Olam, saying, "This is under "politics" because of political correctness, the prevalence of which, in the United States, is preventing it from seeing the truth and acting accordingly. Robert J. Avrech presents Michele Bachmann: “America Will Be Cursed If We Reject Israel.” posted at Seraphic Secret. Batya presents The Ten Commandments, "No Other G-ds" Includes Democracy and Other Western Idols posted at Shiloh Musings. Binyamin miller presents FNQ – 5 q's for the Week - Controversial Stories in Tanach posted at Fear No Question, saying, "5 questions on how to deal with sins of Biblical characters"
Josh Waxman presents The Samaritans make Yisro bow posted at parshablog, saying, "It is a general feature of the Samaritan Torah that they "fix" the text to solve difficulties. This is something to keep in mind if you would think to rely on a Samaritan variant as preferable to the Masoretic text. Three examples from this week's parsha alone. They make Yitro bow to Moshe; they make the nation hear the sounds; and they emend Har Eval to Har Grizim, which they deem holy. There are others. Also, Ibn Ezra argues against Lower Biblical criticism." Josh Waxman presents Charoses and the authenticity of the Zohar posted at parshablog, saying, "If named Tannaim or Amoraim mentioned in the Zohar think the tapuach is the apple, but according to true Chazal the tapuach is the citron, then how could the Zohar be anything other than a forgery?" Yechezkel presents Ad K'dei Kach - The Ten Commandments Revisited posted at Achas L'Maala V'Sheva L'Matta, saying, "Looking at the Ten Commandments from a new perspective. It's deja vu all over again." The New Israel Fund and Those "Red Lines"
Haitian Kids, Why Take Them Away? What's Jewish? What's American? What's Just?